Visual Studio Code>Programming Languages>NixNew to Visual Studio Code? Get it now. 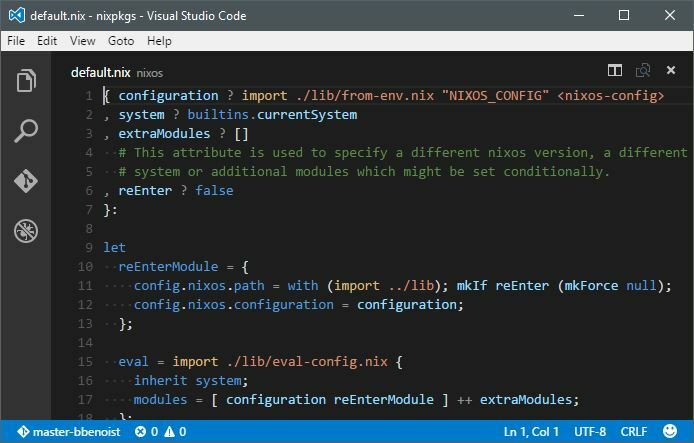 Nix language support for Visual Studio Code. Hit F1 and enter the ext install nix command. Indent your code by 2 spaces. Document the purpose of functions and classes. Document other code where useful. When adding a new feature, please mention it in the README.md Features section. Use screenshots when applicable.